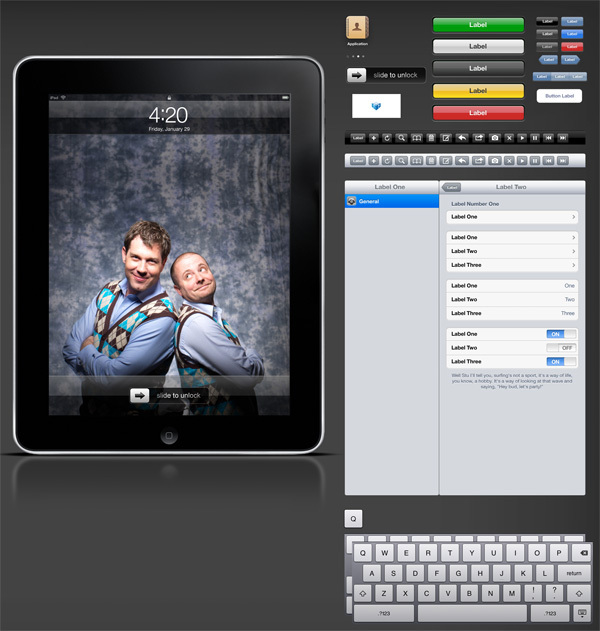 Teehan+Lax has released iPad GUI PSD. The PSD was constructed using vectors, so it’s fully editable and scalable. There are a few new UI elements as compared to the iPhone interface. The workable screen design is formatted to 768×1024 so anything you design in the Photoshop file can easily be brought over to the SDK.